Minneapolis’ population and size continued to expand throughout the 1880s. Typhoid outbreaks maintained a positive correlation with the population and size of the city. Baffled city officials searched for a source to blame and settled on the portion of the population that drew their water from private wells. After 453 people died from typhoid in 1883, Dr. J.H. Salisbury, the City Physician and Health Officer, stated that the ground lying beneath the city was “saturated with filth” from cesspools and privies. Dr. Salisbury and the majority of the medical community at the time subscribed to the dominant contemporary theory that miasmas caused disease. This theory presents illness as originating from bad air. City officials believed that typhoid was caused from air coming off of waste in cesspools and outhouses. 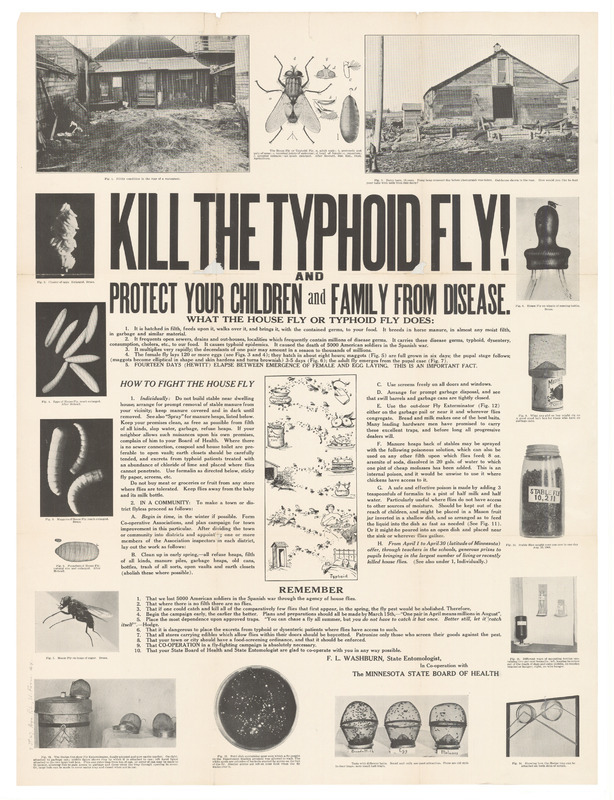 They referred to typhoid as the “filth fever” and came to associate it with the houseflies that gathered around human waste and garbage. City officials believed they could solve all their problems by piping what they called “the purest water in the United States” to their citizens. By connecting everyone to the municipal sewer system, they would eliminate the miasmas that came out of outhouses and cesspools and stop the spread of typhoid. 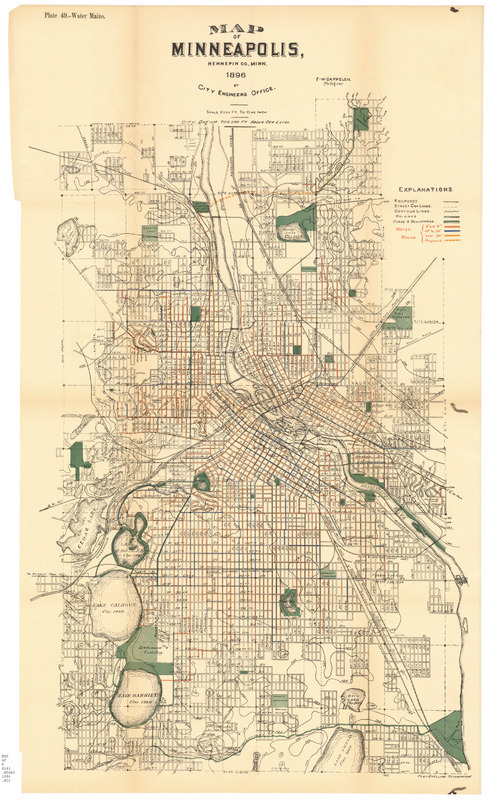 This plan was largely realized by the end of the 1880s at which point the majority of Minneapolis’ residents drew their water from the municipal water grid. The city thought their problems with typhoid were outdated, but the worst was yet to come. Justin Berchiolli, Isaac Shapiro, and the Minnesota Environments Team, “Outbreak and Mystery: 1880-90s,” Minnesota Environments, accessed April 26, 2019, http://mnenvironments.carleton.edu/items/show/15. 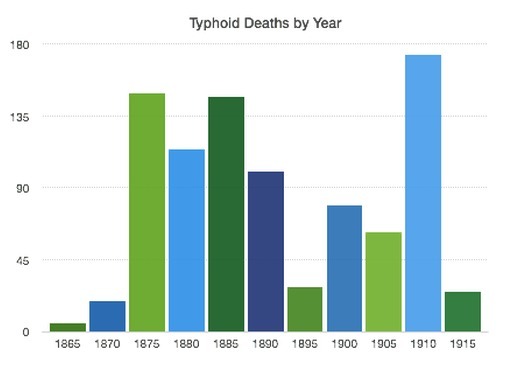 On Typhoid deaths, see US Government, "Congressional Serial Set," in Reports, Documents, and Journals of the U.S. Senate and House of Representatives. (Washington D.C.: U.S. Government Printing Office, 1907).